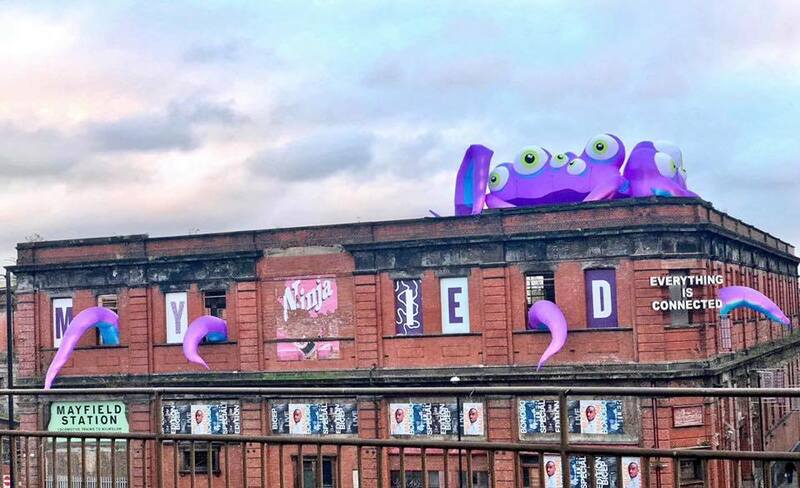 It’s Halloween weekend, and monsters have taken over Manchester. 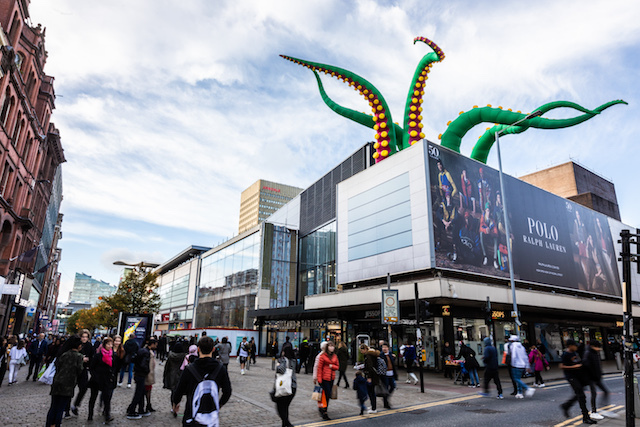 Landmark buildings have had creature features added as part of a council campaign to promote events over the next few ghoulish days. More reasons to love our hometown. 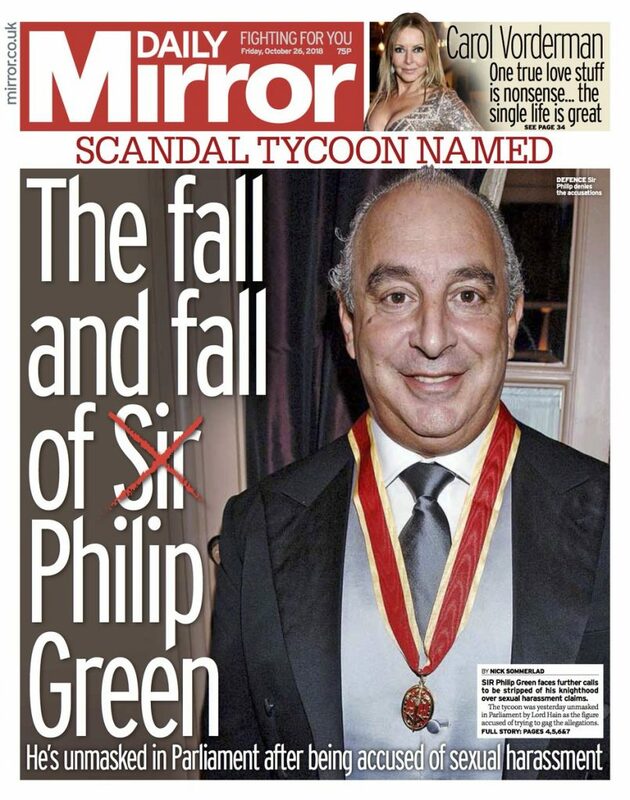 The man at the top of Topshop, Topman, Wallis, Evans, Burton, Miss Selfridge, Dorothy Perkins and Outfit— Sir Philip Green— has been made named in a sexual harassment scandal after Lord Hain revealed the business mogul’s identity, using Parliamentary privilege to beat a high court injunction. 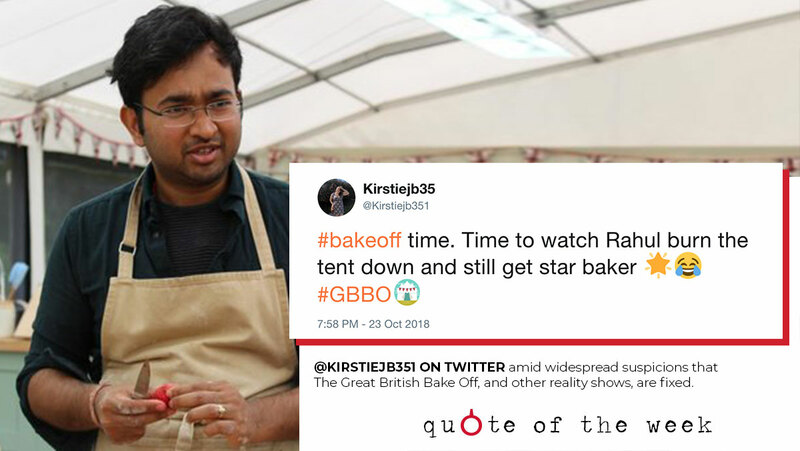 The latest #metoo event, it paints the defendant in a very unfavourable light. Facebook has been fined £500,000 by the UK Information Commissioner’s Office over the Cambridge Analytica scandal. Honda has ditched its UK ad and digital agencies in a bid to ‘take back control’ of its online brand and presence. People aged 16-24 spend 80 minutes per day consuming BBC content— half the time of every other older age group.